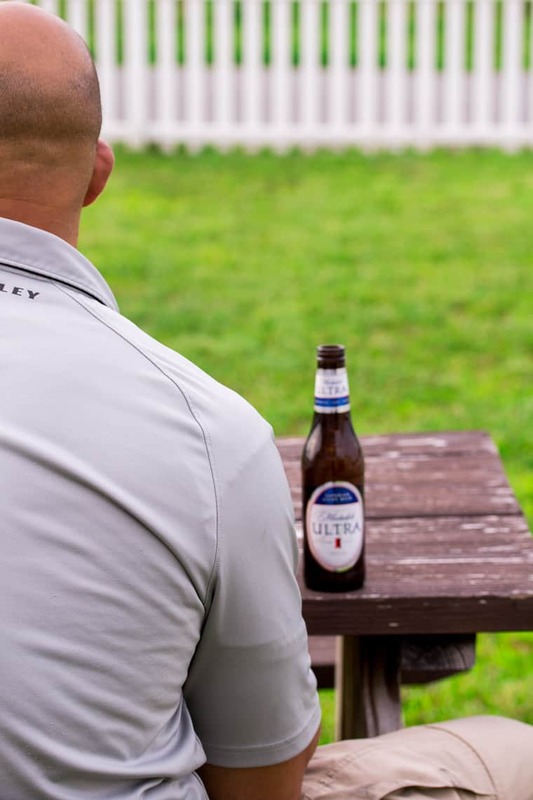 Father’s Day is a time to celebrate all of the dad’s and father-figures in our lives the best way we know how. 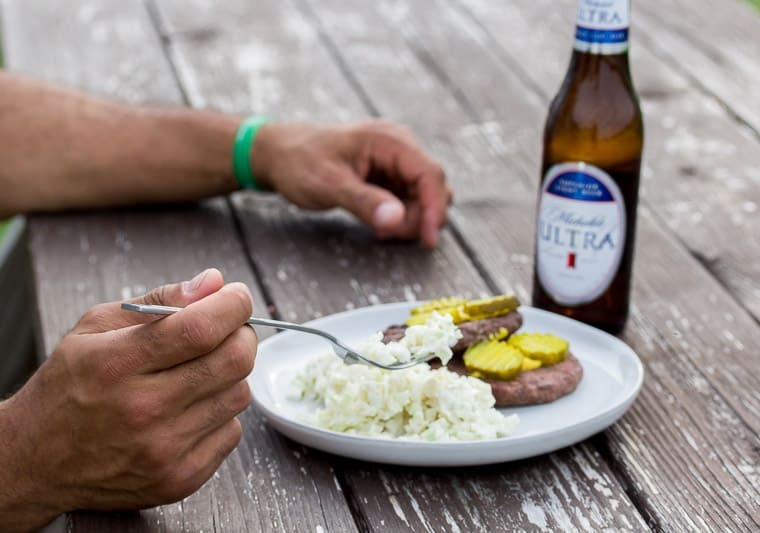 For us, this always means family time and, of course, food! My fiancé and I always make a big deal out of Mother’s Day and Father’s Day. But, we have completely different ideas about what a “big deal” is. The past two years, on Mother’s Day, we head to an amazing restaurant at the beach to enjoy a huge brunch spread. I honestly think my fiancé looks forward to it more than I do. Then, we spend the day walking the boardwalk, playing games, and getting our toes wet in the ice cold ocean water! Father’s Day always goes a little differently. Since we are almost always on to the go, my fiancé always says he just wants to stay home and not have to go anywhere. That’s right, all he wants is burgers on the grill and to leave his car in the garage all day. This isn’t too hard to do, considering the fact that my own father lives 1000 miles away and he always makes plans for another day with his dad. I always feel a little guilty on Father’s Day because I never cook. My fiancé is the grill master in our home because I have a ridiculous fear that I’m somehow going to blow up the whole thing up. I don’t think he minds, though. 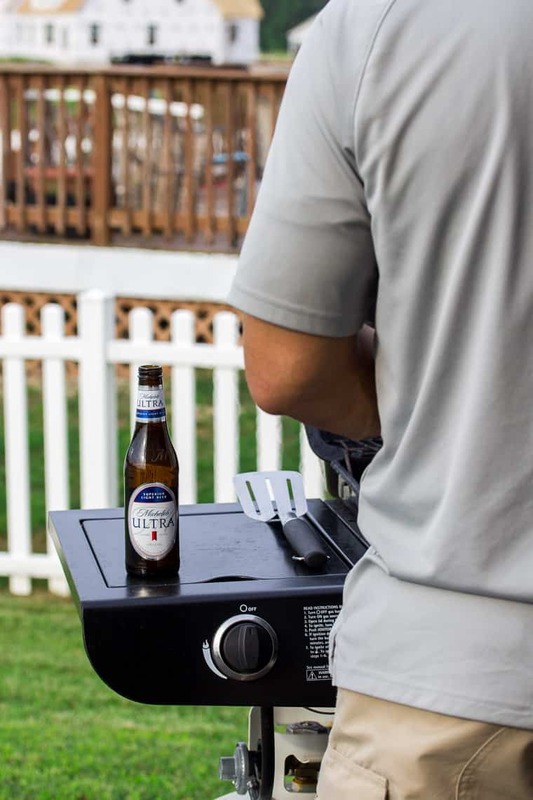 He prefers to grill as much as possible, especially in the summer. Guess we’re both pretty lucky that Father’s Day happens in June! So, every year for Father’s Day, he picks the meal, I do the shopping and prep work, and then he does the grilling. There is a huge cowboy steak in the freezer just waiting for Father’s Day this year! This is how we always spend Father’s Day and he loves it! See, he’s the kinda guy who would choose to spend the entire day with his family than take any time “off” to just relax. Hes the best father and goes so far above and beyond what I could have ever imagined a father and partner to be. He rarely takes time for himself, so I’m always challenged to figure out how to help make his life easier or just more fun. My fiancé also loves a good, cold beer once in awhile. But, he’s been back on track with eating healthy and working out, so he’s a bit more selective these days when it comes to how he treats himself. He gets up at 5:30am to hit the gym and goes hard with work and being dad until late at night. 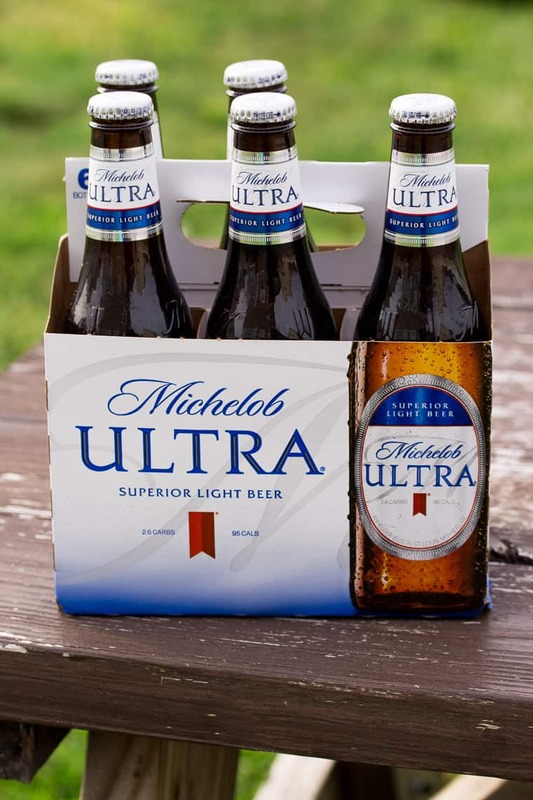 Michelob ULTRA premium light beer is the perfect choice to pair with all of his grilled masterpieces. I haven’t actually seen my own dad on Father’s Day for well over 10 years. My parents moved away for warmer weather and to live a more laid back life years ago. I always miss them most on the holidays, but it’s easier these days to still connect with video chat and the ability to mail just about anything! I’m happy to say that I will actually be celebrating Father’s Day with my own dad (in person!) a little late this year. They live in Florida and we are heading down the week after Father’s Day. My dad likes to go places and do things, so I’m looking forward to planning a fun day out with him! Growing up my favorite memories of my dad are when he would go roller skating with me, playing Yahtzee and 500 Rummy on the kitchen table, and when he would randomly come home with an assortment of candy or cupcakes or donuts and let us pick our favorite! I obviously got my sweet tooth from him! If I have learned anything in all my years, it’s that the best gift truly is time. Quality time. After that, I would definitely say laughter. Material things are always fun, and I definitely include one or two gifts as well! I’m usually pretty good with gift giving, but not with him. He never mentions ever needing or wanting anything and is just content with what he has. He has a great sense of humor though, so I’ll probably pick up some fun gifts I know he’ll enjoy, and then a gift card so he can make the tough decisions – ha! 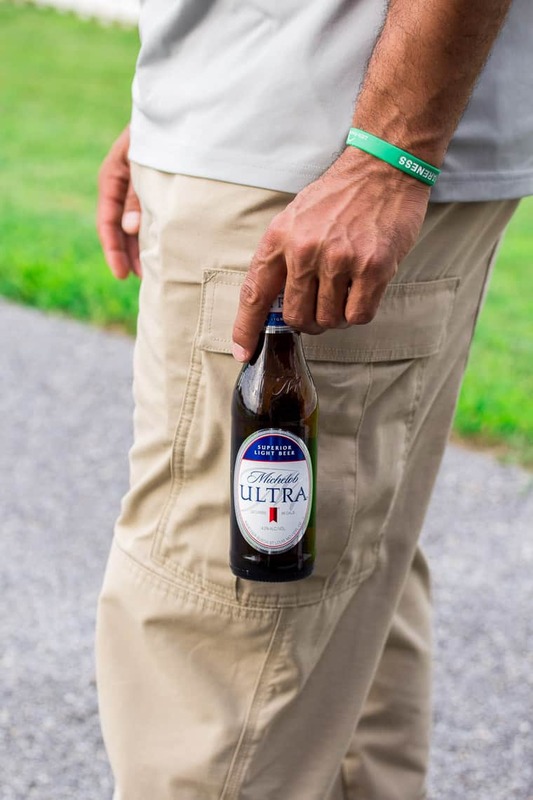 Michelob ULTRA actually has some unique Father’s Day gifts if your dad is a fan of beer. 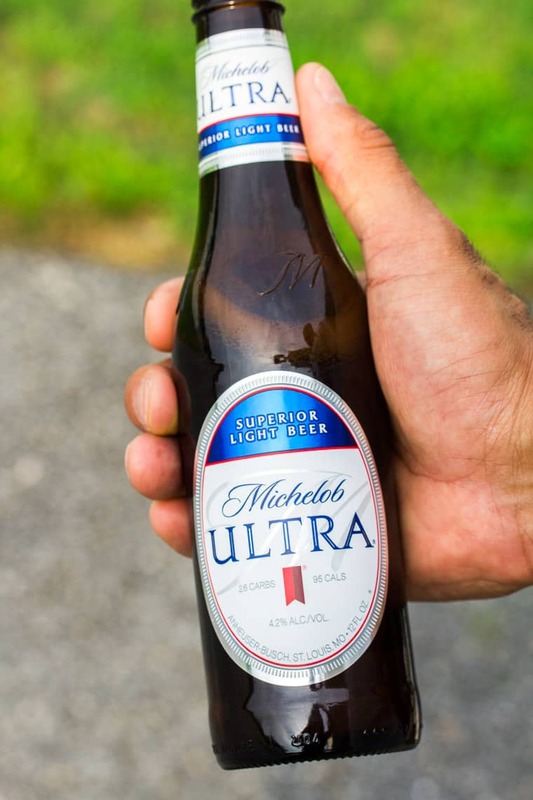 You can check out their Father’s Day Shop by CLICKING HERE and also learn more about why this superior light beer is a great choice for the “ULTRA Dad” in your life!